The AIA-CKC Intern Development Program was created to ensure that interns in the architecture profession gain the knowledge and skills required for the independent practice of architecture. A tour of the acclaimed Humana Tower is being held for local Emerging Professionals (and creative friends in other fields). In addition to a history of the building construction and evolution, we will discuss the future of office spaces. Turn into Poplar Woods neighborhood located off of highway 42 in Goshen, KY. Stay straight for .5 miles and look for the PL Lyons Signs on left. Park on Street. Wear appropriate shoes and clothes to walk a construction site. All Architectural Interns, Architects licensed 5-years or less & AIA members, are invited to attend this Site Visit at this years Homearama in Poplar Woods. Ben Robbins, AIA, of PL Lyons Architectural Builders, shall be the guest speaker. Various other speakers will be on site to discuss the project, like our electrician and HVAC contractor. Design and construction practices for residential housing. This will be a 3 part series starting with framing and mechanical, electrical plumbing and moving through the process into finishes. Please RSVP to Ben Robbins, IDP Chair, at ben@buildlouisville.com by Wednesday, March 1, 2017 @ 12:00 PM. Please forward this Program on to any Interns or Emerging Architects. First 10 people to RSVP get to go. Limit 10. Wear appropriate shoes and clothes to walk a construction site. Brasfield and Gorrie, the contractor, will lead site tour. Please RSVP to Ben Robbins, IDP Chair, at ben@buildlouisville.com by Wednesday, April 26th, 2017 @ 12:00 PM. to attend this Site Visit at this years Homearama in Poplar Woods. Ben Robbins, AIA, of PL Lyons Architectural Builders, shall be the guest speaker. Various other speakers will be on site to discuss the project, like our tile installer and cabinet designer. Please RSVP to Ben Robbins, IDP Chair, at ben@buildlouisville.com by Wednesday, May 25, 2017 @ 12:00 PM. All Architectural Interns and Architects licensed 5-years or less, are invited to attend this IDP Program at the Urban Design Studio. David Proffitt, AIA, of UofL’s University Planning, Design & Construction (UPDC) shall be the guest speaker. This program shall cover: 1. Engineering Systems a. Selecting and specifying structural, mechanical, electrical & other systems & integrating them onto the building design. b. Analyzing and designing basic structural elements and systems c. Coordinate building systems (i.e. structural, mechanical, electrical, fire safety, security, telecommunications/ data) and reconcile system’s conflicts. d. Apply sustainable design principles. Cost is free to Architectural Interns & Architects licensed less than 5-years. Food and drinks will be served. Please RSVP Jean-Paul Grivas, IDP Chair, at JPGrivas@pdmarchitects.com by Tuesday, June 11, 2013 @ 12:00 PM. Please forward this Program on to any Interns or Emerging Architects that may not be on this e-mail list. All Architectural Interns and Architects licensed 5-years or less, are invited to attend this IDP Program at University of Louisville. 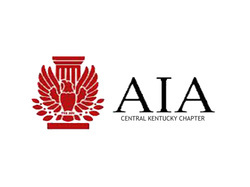 David Proffitt, AIA, of UofL’s University Planning, Design & Construction (UPDC) shall be the guest speaker. This site visit shall cover: 1. Site & Building Analysis a. Review site & building analysis progress. 2. Building construction progress. 3. Creating Field Observation Reports: a. AIA Document G711 [Architect’s Field Report] Hard Hats & Work Shoes will be required to visit the site; no tennis or dress shoes will be permitted on the construction site. Cost is free to Architectural Interns & Architects licensed less than 5-years. Please RSVP Jean-Paul Grivas, IDP Chair, at JPGrivas@pdmarchitects.com by Tuesday, June 25, 2013 @ 12:00 PM.